The road to the White House: Emory professors offer insight into Donald Trump's election as the 45th president of the United States and explore key issues that emerged during the historic contest. With that in mind, we’ve turned to Emory faculty experts to help lend clarity and context to some of the key issues that emerged during the historic race, from the future of health care and a fast-changing political landscape to the need for national reconciliation. After a rancorous and highly divisive election cycle, what can the nation’s next leader do to help knit America back together and restore confidence in the office? “The unexpected and, for many, shocking results to the election will elate some and send others into depression and concern. The fears about the nature of this presidency are beyond policy concerns and go to the personality and intentions of the president-elect. Changing his rhetoric now that he is to assume office is crucial, but will not be enough by itself to dampen fears; even behavior will not suffice. “He must articulate a vision for the country that is inclusive and generous, and then, through his appointments to key offices, and outreach to Democrats across the aisle, he has to reinforce that vision to bring some measure of confidence to a frightened public. What kinds of resources can faith communities use to promote national reconciliation after the election? “America is very fortunate to have over 350,000 religious congregations. Generally speaking, they are resources for moral clarity, forgiveness, healing, social connection and hope. Today, we need those resourceful leaders and communities to mobilize their distinctive abilities to convene people. "As diverse people gather, we should affirm our common purposes and our deep connections to one another. Through their moral rhetoric, therapeutic rituals, symbols, gestures and music, faith communities can do precisely what ritual does so well — that is, guide Americans and our global neighbors through chaos, pain and uncertainty to mutual respect, empathy for strangers, common purpose and hopeful determination to build a more perfect union. What can people do to deal with their disappointment, anger or despair if their candidate lost the election? “Short-term, it may be helpful to have a defeat party with people who share your political views to commiserate and gain a sense of camaraderie. Sooner than later, you need to move forward by putting the election in perspective, striving to accept people who espouse views divergent from yours, and being compassionate toward yourself and others. It can be valuable to advocate for causes meaningful to you or volunteer for programs that matter. Given the fractious nature of the presidential campaign, what do you see as the top priority for the next president and other elected leaders in healing the nation and promoting the public good? “Aristotle wrote about the virtue of magnanimity — the moderating quality between vanity and excessive humility. Few of our public candidates, for any office, would be accused of humility, and many have portrayed arrogance. Magnanimity requires leaders to temper their vanity with respectful outreach to citizens of all parties and perspectives. What is the biggest economic challenge that the new administration and Congress will face? "While the economy has more or less recovered from the Great Recession, the recovery is only partial. Real incomes have not grown much, and the percentage of working-age people in the labor force is the lowest it has been for about 40 years. It is facts such as these which caused the unhappiness leading to Mr. Trump's election. Mr. Trump's challenge is to reverse these trends and restart healthy economic growth. "Much of his agenda will work in this direction. Much of the basis for slow growth has been excessive economic regulation and reducing this regulation — eliminating or greatly cutting back Obamacare, reducing or eliminating the regulations associated with Dodd-Frank financial regulation, reducing excessive regulation by the Department of Labor and the EPA — will go a long way towards increasing economic growth. From the people picked for the transition team, we can see that Mr. Trump's policies are working in this direction. (I saw the rate at which reduction of inefficient regulation can improve an economy from my position in the Council of Economic Advisers in the Reagan administration.) Tax cuts will also stimulate greater growth. "One difficulty will be reconciling these movements with Mr. Trump's threat to place tariffs or other impediments on imports, and particularly imports from China. A tariff is a tax, and increasing tariffs is a form of tax increase, and will have the usual effect of reducing incomes and growth. Reducing immigration of Mexican workers will also retard an expansion, although probably not as quickly as increasing tariffs. So many of Mr. Trump's policies will lead to increased economic growth, but some of his most deeply advertised policies will retard recovery. How these sets of forces will play out is an open question at this point." What should the priority of the next administration be in terms of immigration policy change and reform? Both the president and Congress must confront the issue of the millions of undocumented persons living in the United States, many of whom have lived here for decades and have U.S. citizen children. "The Senate's bipartisan immigration reform bill, which it passed in 2013, provided a sensible solution, with strong support from both political parties. Yet Republican members of the House prevented any vote on that bill, largely because of political disagreement with President Obama rather than on the merits of the proposal itself. What will be among the new administration’s greatest challenges in terms of U.S. foreign relations? “Among the administration’s great challenges will be the impact of Trump’s election on the U.S. global image and the way that affects support in other countries for human rights and for democracy as a system of government. Shortly before the election, Trump’s rise was seen by the Chinese as an indication of the downside of democratization. What are the most pressing national security issues facing the new administration and Congress? "As the new administration prepares for transition and to take office in January 2017, several national security challenges are the most pressing. Russia: In 2015, the chairman of the Joint Chiefs of Staff highlighted Russia as the greatest threat to U.S. national security, and Russia’s aggressive posture in the Middle East, the Baltics and elsewhere in Europe poses a significant challenge to the U.S., to our allies, and to how we will work with our allies, within NATO and elsewhere, to define, counter and contain this threat. Cybersecurity: The world continues to struggle to identify and define the true parameters of the threat cyber activities pose, from espionage to cyber crime to malicious activities to attacks. Cybersecurity demands constant action to protect and defend against such threats and intrusions, and also requires that the government and the private sector figure out how to work together to leverage both their respective strengths and opportunities for cooperation. ISIS and radical extremism: Along with our allies, we have made great strides in displacing ISIS and freeing significant portions of Iraq and Syria from the clutches of ISIS, but the new administration will inherit the task of destroying and displacing this brutal terrorist group from Iraq, Syria and its other safe havens. In addition, the new administration will need to work with countries around the world to counter radical extremism from the ground up — not only with immediate-term action to counter and contain threats, but through long-term thinking to minimize the spread of radical extremism and promote education, economic development and other responses to dissatisfaction and distrust. China: China continues to flex its muscles in the South China Sea, posing challenges to freedom of navigation, its neighbors’ sovereignty, and the international law of the sea regime. The next administration must continue a steady focus in this area and maintain U.S. superiority in the region and continue to secure the freedom of the high seas and the international legal regime. Rule of law: In the aftermath of an extraordinarily divisive campaign and statements demonstrating disregard for fundamental tenets of human rights and the law of armed conflict, the new administration has to come to terms with how to pursue its national security objectives in a lawful and principled manner. Legitimacy today depends on compliance with the law and perception of compliance with the law — the use of any of the tactics advocated during the campaign (torture, targeting the families of terrorists, carpet bombing) will greatly diminish America’s standing in the world and embolden and empower our enemies." Why did the election results differ so dramatically from what polls predicted? "Nobody was more shocked by the results than I was. Based on all of the pre-election polling and the various polling aggregation websites like FiveThirtyEight and NY Times Upshot, I was very confident that Hillary Clinton would win. I was wrong. Almost everyone was wrong. My forecasting model predicted a narrow Republican victory but even it was wrong because it predicted a narrow Republican victory in the popular vote. In fact, Hillary Clinton won the popular vote and when all the votes are counted (there are still millions of votes remaining to be counted, mostly in California), she will probably win the popular vote by close to 2 percentage points. "This is the second time in the last five elections that the antiquated Electoral College system has produced an outcome in which the winner of the popular vote loses the electoral vote, and this time the divergence between the popular vote and the electoral vote is much greater than in 2000. It is the largest discrepancy since at least 1876. "So what went wrong with the polls and the forecasting models? It will take time to find the answer to this question, but I suspect that the polls, especially in swing states like Michigan, Pennsylvania and Ohio, underestimated the turnout of white voters without college degrees, a group that voted overwhelmingly for Donald Trump. It may also be the case that late-deciding voters, some of whom had been thinking of voting for Gary Johnson, switched to Trump in the final days of the campaign. "Students of elections and voting behavior will be analyzing this election for many years to come. I am personally looking forward to the release of the 2016 American National Election Study, an invaluable resource for electoral scholars because it is based on lengthy, in-depth personal interviews with thousands of voters. Donald Trump’s improbable victory will be analyzed in countless scholarly papers, articles and, eventually, books. "This much we already know, however, from the election results and the exit polls: Donald Trump is the most unpopular president-elect in the last 60 years; solid majorities of Americans oppose many of his controversial proposals including building a wall on the Mexican border, deporting undocumented immigrants, banning Muslims from entering the United States, and turning the clock back on reproductive rights and marriage equality. And Mr. Trump lost the popular vote decisively. In any other election in this country or in any other democracy, Hillary Clinton would have been declared the winner early Wednesday morning." How did turnout for voters of color and women contribute to the surprising election result? "Minority and female voting behavior completely defied our predictions this cycle. While there were questions about whether blacks would turn out at the same record breaking rates that they did in 2012, I don’t think we were prepared to witness the proportion of the black electorate shrink. "Overall, turnout declined in this election, which should not have been a surprise — the negativity of this election likely depressed voter turnout. However, black turnout shrunk to the point where black voters made up a smaller share of the electorate than they do the general population. That had consequences for Hillary Clinton. Assuming that those roughly 1.2 million missing black voters had cast ballots in key battleground states (and 88 percent voted for Clinton, as did blacks who did vote), Clinton would have won. "The Latino and Asian American vote was also surprising. Proportionally, Donald Trump got more Latino and Asian American votes than Mitt Romney, which no one foresaw given Trump’s rhetoric on immigration. Hillary Clinton did 6 percentage points worse among Latinos and 8 percentage points worse among Asian Americans relative to President Obama in 2012. "In addition to Clinton not meeting expectations among minority voters, the gender gap nationally seems relatively normal. To be sure, the 11 point gap of 2016 is not the 7 point gap of 2004, but it is not out of the historical range. However, it is not the historic gender gap that we thought we would see as a result of the Access Hollywood tapes. As others have noted, I would attribute this in part to partisanship trumping (excuse the pun) gender. It is also important to keep in mind that more than two-thirds of voters made up their mind about who to vote for before September." What does the 2016 presidential election — both Donald Trump’s nomination as the GOP nominee and the result of Tuesday’s vote — say about the current relationship between conservatism and the Republican Party? “Donald Trump’s nomination showed that many GOP voters support neither conservative nor establishment views. It weakened the relationship between conservatism and the Republican Party. If Trump’s core voters coalesce into a durable GOP constituency, traditional conservatives may have a more modest voice in the Republican Party and even find themselves institutionally homeless. “But Trump’s remarkable victory, combined with the election of many conservatives to a GOP-dominated Congress, also gives conservatives opportunities to shape a new direction for the country. In the short run, conservative views are unlikely to prevail on entitlements, trade and foreign policy. But conservatism may help to frame the new direction in judicial appointments, defense, health care, government reform, environmental policy and immigration. In the longer run, Republicans still face existential questions. What does the outcome of the election tell us about "white rage"? Carol Anderson, Samuel Candler Dobbs Professor of African American Studies, author of "White Rage: The Unspoken Truth of our Racial Divide"
"President Obama’s success, although it pulled the United States from the precipice of an economic collapse, clearly was not cause for celebration. Rather it was the trigger for white rage. His achievement was suggestive of something even more threatening: that the highest position in the land, particularly as the nation became more diverse, would no longer be reserved for white males only. "As a result, nearly 50 million Americans, who were overwhelmingly white, including a sizeable share of college-educated white women who set aside their ostensible repulsion about the candidate’s alleged multiple sexual assaults, voted for a man with no viable qualifications for president of the United States. But his policies promised to undo Obama’s racial legacy — both materially, legally and psychologically." What will be the unique challenges for women leaders in serving successfully in a Trump administration? “My research shows that the most dangerous people to give power to are those who feel like they deserve more power than they currently have. Whether this sentiment applies to Mr. Trump or not, we cannot know. But it may accurately describe some of his most ardent supporters, who, according to polling data, have been feeling that their standing in society is lower than where it ought to be. What do you see as the future of Obamacare, or alternative national health insurance programs? What can be expected in the near- and long-term for quality and safety improvement and cost containment in health care? Will there be any reforms in drug pricing? “Republicans are poised to roll back a lot of Obama administration reforms to Medicare payment. The administration tried to shift Medicare to payment models that provided incentives to physicians and hospitals to reduce costs and improve quality, but providers complained they were overly complex and forced small physician practices to sell out to large health systems. Do you expect the Precision Medicine Initiative and the Cancer Moonshot program to continue, and if not, what do you foresee for the future of cancer research? “Federal support for cancer research has had bipartisan support in Washington, and the National Cancer Institute budget experienced its first significant growth in a decade over the last two years. It is likely that President Obama's Precision Medicine Initiative and the current administration's Cancer Moonshot will not continue as currently constituted in the Trump administration. 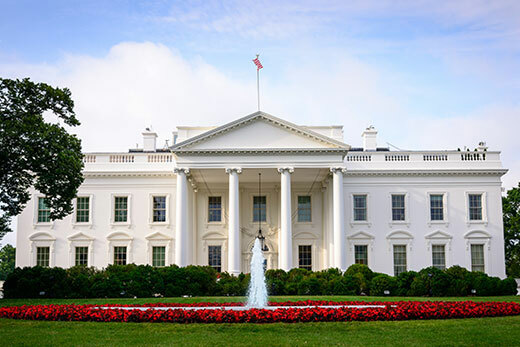 What are the most important changes in nursing that you expect with the new presidential administration? "President-elect Trump’s proposed health care plan will most likely include legislative and regulatory changes in several areas while also trying to retain some of the more popular aspects of the current Affordable Care Act. What health care delivery and financing will ultimately look like under the new administration will depend heavily on Congress. "What is most important to nursing is that these changes do not result in lower access to care for populations across the United States, particularly the nation’s most vulnerable, and that the emphasis on prevention and on keeping people healthy and engaged in their health care is maintained. Empowering advanced practice nurses in all states with the full-practice authority of their license, education and certification will be an important first step toward ensuring high-quality, cost-effective health care under any model. The role that nurses play in care coordination, quality improvement efforts and team-based care delivery will continue to be of the highest priority." How will a new administration and changes in Congress affect health care for individuals with mental health disorders? "As part of his Second Amendment Platform, President-Elect Donald Trump has proposed to 'fix our broken mental health system,' but hasn’t provided details about specific mental health policy proposals. Both the new administration and the Republican Congress have made repealing the Affordable Care Act a high priority. Because people with mental disorders are at elevated risk for being uninsured, poor and having fragmented care, they could be disproportionately affected by these changes. "Trump and Speaker Paul Ryan have proposed to allow states more autonomy in determining the scope and structure of Medicaid benefits through block grants, spending caps and/or waivers. Medicaid is the largest funder of mental health services in the United States, and these changes could have a major impact on care in the public mental health sector. Currently, mental health advocacy groups are taking a 'wait and see' approach, pledging to work with the new administration and Congress to keep a focus on mental health care in 2017 and beyond." What role did the candidates’ performances in the three debates, as well as their overall rhetorical styles, play in the election results? "We have just witnessed the Twitterfication of United States presidential politics. Our personal communication patterns have been in transition for a while. Most of us no longer write letters or read books. Many of our daily messages come in the form of instantaneous sentence fragments on Twitter and Facebook that serve to convey our gut reaction instead of sober analysis. We just witnessed the first national election where a candidate successfully utilized these digital mediums to structure messages that were able to galvanize and sustain voter interest. "President-elect Trump masterfully used short, emotion-laden messages to respond to every twist and turn in the campaign. His debate speeches also seemed to have been Twitterfied. While I was highly critical of his debate performance, it was effective in communicating with his core constituents. Responses to questions were short and simple. The interruptions provided an instant visceral response. He erred on the side of entertaining and connecting with party loyalists instead of educating the masses about his policies." The 2016 presidential election brought intense focus to the role that the media plays in choosing which candidates and which issues to cover, with allegations of media bias. How should this inform the role and responsibilities of the media going forward? “We are also reaping the harvest of growing civic and news illiteracy in our nation. We are afflicted by core misunderstandings about the point and purpose of government, and the essential, foundational role of news organizations within our democracy. News organizations share some of the blame for that when they try to survive by tailoring their coverage to be in political sync with their readers.